Gujarat Fortunegiants are top of the table in Zone A with 77 points from 20 matches. 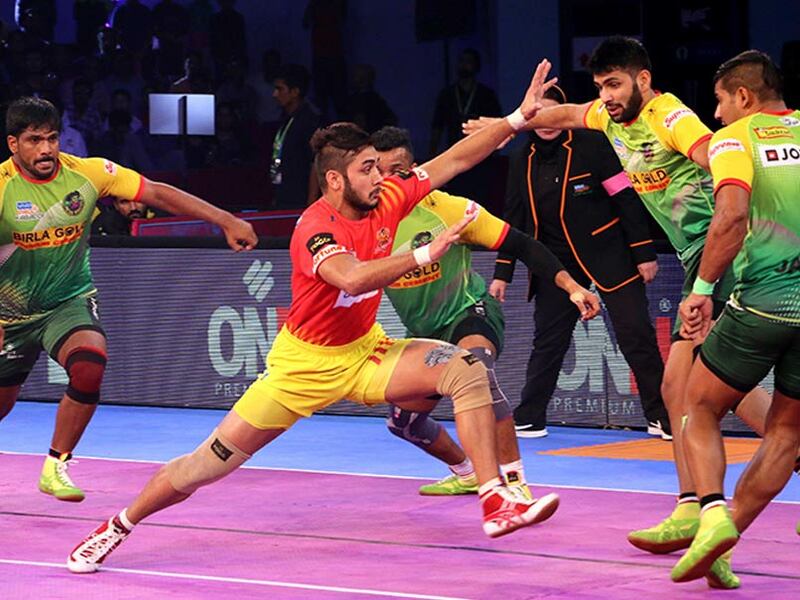 Patna Pirates have 67 points from 20 matches and are second in Zone B table. 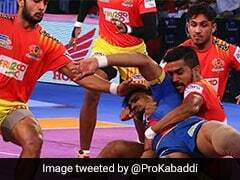 Gujarat Fortunegiants produced a terrific defensive performance as they beat Patna Pirates 33-29 in the Pro Kabaddi League (PKL) on Sunday. Iranian duo of Fazel Atrachali and Abozar Mighani combined to score nine points as they kept Pardeep Narwal quiet for long stretches of the match. It was a rare off night for Narwal who achieved the 500-point mark in Pro Kabaddi League but managed just four points on the night. Gujarat Fortunegiants scored 15 tackle points on the night to quell Patna's famous attacking threat. Gujarat's defence was in solid form as they contained the Patna raiders in the first half. Narwal got just one bonus point in first 15 minutes. Monu Goyat was also kept quiet by the Gujarat defence as he could manage just two points for Patna Pirates. Gujarat Fortunegiants inflicted an all out in the 12th minute to lead 13-8. Gujarat extended their lead to 16-8 in the 14th minute. Goyat got a raid point for Patna Pirates in the 16th minute as they trailed 10-16. Gujarat Fortunegiants' defence dominated Patna's raiders in the first half as they scored nine tackle points to lead 18-12 at the end of the first half.